Employee Provident Fund (or EPF) is a Government of India service offered to all citizens who are employees of a private sector firm or company. As a retirement benefit scheme, it is the most important part of a private sector employee’s life after retirement. If you’re looking for information on EPF, in particular how to check your EPF balance online, then read on. The EPF retirement scheme was initiated by the Ministry of Labour and Employment, Government of India. Since its inception in the year 1951, the primary objective of the scheme has been to protect the economic security of employees post retirement. One of the most popular retirement schemes among private sector employees, it is structured as a three-sided contribution towards the employee’s EPF account. Every month, an equal contribution is made towards the EPF account by the employee and the employer. This is usually 12% of the basic monthly wages. The total contribution to the account therefore becomes 24% of the total monthly payment of the employee. In addition, the government contributes a fixed-rate of interest to the amount. This ensures that the amount deposited in the employee’s PF account grows over time. As a financial saving instrument for ensuring comfortable post-retirement living, the EPF scheme is a win-win proposition available to all private sector employees in India. The scheme is administered solely by the EPFO, a statutory body under the ministry of Labour and Employment, Government of India. 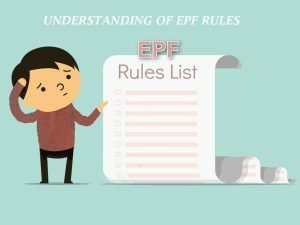 Over the years, EPF rules have changed with regards to coverage, contribution rules, withdrawal procedures, etc. Some significant rule changes occurred in September 2014, with a few more in February 2016. To keep our readers updated about the latest EPF rules, we have listed the main revisions at the end of this page. We will continue to update these as and when rule changes occur. Check back frequently to ensure that you’re up-to-date with the latest rules related to EPF. Having gained familiarity with EPF and how it works, let’s look at how to check the most important piece of information related to your EPF account – your current EPF balance. Knowing your EPF balance can help you plan ahead and stay within your budget. More importantly, there are times when you are in urgent need of money. You have a wedding in the family and you’re falling short by a fair margin. Or perhaps you’re in the middle of a family emergency. At such times, knowing exactly how much you have in your EPF account can be very useful. It allows you to withdraw a partial amount, and if necessary, apply for a loan. Your EPF balance serves as evidence that you can repay the loan. Until recently, individuals had to personally visit the regional EPFO office to know their EPF balance. In 2011, the government started a facility that allows individuals to check their EPF balance online. In addition to providing your EPF balance information, the service offers an overview of your account activity. With just a few clicks, you can view all your EPF account information. This includes your employer’s contribution and how much interest has been credited to your account. Even if you aren’t computer savvy, you can easily check your EPF balance online. Here’s how you can check your account balance online. Before you get online to check your EPF balance, make sure you have your 12-digit EPF account number handy. Then, use the following steps to find out your EPF balance. Open the Know Your PF Balance or KYEPFB webpage in your browser. Near the bottom of the page, click on the text “Click here to know Your PF Balance”. From the drop down list, select the state of your EPF office. On the next page, select your city-specific EPF office from the list of offices located in your selected state. Select the office that maintains your EPF account. Next, enter your EPF account number, your name (as it appears in the EPF Slip), and your mobile number. In case your EPF account number does not have the middle three digits, you can leave that box blank. Read through the general terms and conditions and check the “I Agree” box. You will receive your EPF balance via SMS on the mobile number you provided earlier. In case you have an activated UAN (Universal Account Number), there are other ways you can access your balance information. You can find more information about the same in our article on EPF Status. Change to the threshold limit – Earlier, an organization became eligible for EPF contribution if it had at least 20 employees. However, this threshold has now been reduced to 10 employees. That is, contribution towards EPF is mandatory even if an organization has only 10 employees. Amendment to minimum salary limits – The minimum salary limit for mandatory contribution to EPF was INR 6,500 per month. This limit now stands at INR 15,000. Therefore, if an employee’s salary is below INR 15,000, he/she will have to compulsorily contribute to the EPF Scheme. Changes to pension amount – The minimum monthly pension for the widow of the EPF member will be INR 1,000. For the children and orphans of the EPF member the minimum monthly pension will be INR 250 and INR 750, respectively. In addition, the average of the last 60 months salary will be used to calculate the pension amount, rather than that of the last 12 Months. Insurance coverage – Earlier, the insurance coverage for EPF members was INR 1,56,000. Now, every EPF member will receive an insurance coverage of INR 3,00,000. Raised Employer Contribution towards EPS – Due to the increase in the salary limit from INR 6,500 to INR 15,000, employer’s contribution towards EPS has been increased to INR 1,250 per month, irrespective of the salary of the EPF member. 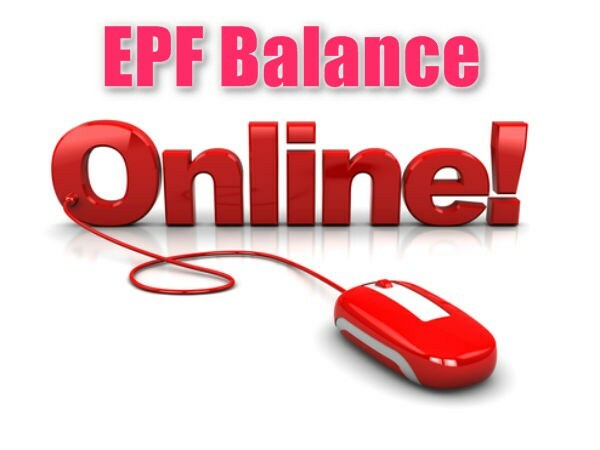 At eepfbalance, we offer guidelines and information about EPF, UAN activation and much more. For any information or query regarding EPF Balance, drop your comments in the comment box below.